Nepal Yoga Home is one of the pioneer yoga school in Nepal with its outstanding performance and spiritual life-changing environment to offer all the yoga aspirants from around the world. As a true trail-blazing institution in the field of yoga in Nepal, It offers various courses ranging from beginners level to the advanced level yoga courses. It is located just 5 kilometers from the Kathmandu (city of temples). 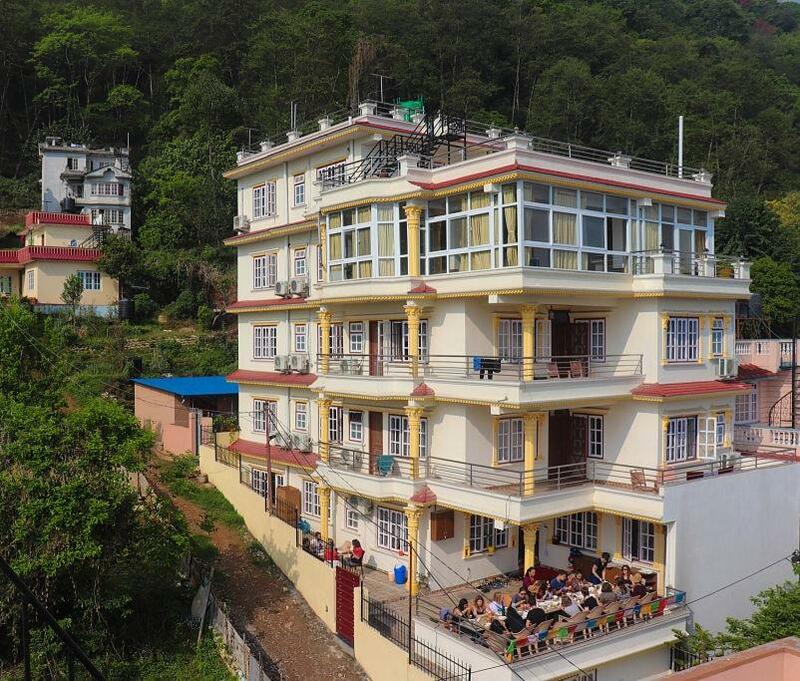 This yoga school in Nepal is providing different courses like 200 Hours Yoga Teacher Training Nepal, 500 Hours advanced Yoga Teacher Training Nepal, yoga retreat packages (one night yoga retreat, seven-night eight days yoga retreat, one week yoga detox retreat, two weeks yoga retreat to one month yoga retreat), Ayurveda, Naturopathy, Acupressure, soul healing, Reiki healing since long time in Nepal etc. Our Yoga Teacher Training Nepal (200 hours Yoga Teacher Training Nepal, 500 hours Yoga Teacher Training Nepal) are certified by Yoga Alliance. This yoga institute in Nepal also provides other Yoga Teacher certification classes like Prenatal Yoga Teacher Training Nepal, Children Yoga Teacher Training Nepal, 100 Hours Basic Yoga Teacher Training Nepal, 300 hours Yoga Teacher Training Nepal, Old Age Yoga Teacher Training Nepal etc. This yoga institute in Nepal has been run by the yogis who are the most dedicated and determined personalities who have an enormous vision to contribute to enhancing the authentic Himalaya yoga throughout the world. The yoga school has already been privileged to extend its wisdom to the yoga enthusiasts from about 80 countries. Yoga and meditation are the best way to heal your body, mind, and soul. This yoga institute in Nepal will teach you and remind you what is the main consideration for a human being to have a harmonious life, providing the proper art of living. In this yoga retreat, you will get the spiritual and yogi guide to heal your inner self and rejuvenate your physical body. A regular yoga practice and meditation helps to become physically fitter, emotionally calmer, mentally more alert, personally more stable and build confidence about life. Your yoga holiday in Nepal will be a unique spiritual experience and your life may not be the same after attending the class in this authentic yoga school in Nepal. Each place has its uniqueness which allures to the world. 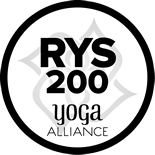 In the same, Nepal Yoga Home (one of the Best yoga school in Nepal) has been an exclusive place for many exceptional reasons to visit. The visit to Nepal will be amazing provided that you visit this picturesque place abiding on the lap of Nagarjuna jungle to the north side of Kathmandu valley. When I decided to visit this yoga institute in Nepal, I came to realize that I had made the best decision in my trip to Nepal. If you want to experience your inner being this is certainly the place. Spiritual and peaceful family in every way, and no pressure to do anything. Great guidelines for health and inner peace, and tasty vegetarian food every day. It has been the most Inspiring 10 days of learning to live, love and let go. Try living in the present and discover more than you thought possible, you will never regret it, I can almost guarantee. I completed the 500h yttc in February of 2017, and it was one of the best decisions I have made. I feel that in that one month I was given so much information, learned so much about myself, and had such a great balance between theory and practice. We were taught such a variety of information, while still focusing on what was important. I learned so much valuable and helpful knowledge from Prakash, Nabin, and Raj, along with a few other teachers that we had. If you are looking for a yoga retreat or teacher training that is honest, inspiring, and full of warm smiles, this is the place for you. Sending much love to all of my family here, I miss you all so dearly and can’t wait to return one day! I stayed In Nepal yoga home for one month 500hrs yoga teacher training, very nice and peaceful place, welcoming and accommodating family, professional teachers, really good foods, best experience that everyone can have in life ever, learning and sharing nice lessons for having peaceful life, good opportunity to find lovely friends with beautiful souls from around the world . After an amazing trekking experience through the Annapurna area, we a few days in Kathmandu. My daughter and I decided to used one of these days to visit Nepal Yoga Home. It was a deeply meaningful experience for both of us in this yoga school in Nepal and we left there wishing we had more time to stay. The home and surrounds are beautiful. They are friendly and knowledgeable and truly made our last day in Nepal memorable. Been there for three days and it was some of the best i’ve spend in Nepal! The family took me in like family and I felt at home from the first day. The yoga lessons by Prakash where really good and I learned a lot here. The food was superb as well, really worth 5 out of 5 stars! I joined Nepal Yoga Home for the one-month yoga training course and had an amazing time. Even though I’ve been learning yoga for years, I learned more about yoga than I ever had including the core philosophy of it which I loved. Prakash and his family are so welcoming and accommodating as well. It was a spiritual experience for me and I met amazing people there in this yoga school in Nepal! The Tour Trek Travel Nepal offers you an opportunity to explore the Himalayan land Nepal. It additionally provides Yoga Trek, spiritual trek in Nepal. All the yoga seekers, Yoga Teacher training Nepal is going 1st of every month. If you are interested to take Yoga Teacher training in Nepal please book your time. Note: there is a limited seat for booking. Anyone who is interested to take classes/Training (mentioned in packages/Prices menu) as your desire, you can book us anytime. The price may differ as per your course. Nepal Yoga Home as a yoga school in Nepal provides you with a higher level of yoga teacher training in Kathmandu, Nepal. This yoga school gives you an amazing chance to be a stunning certified yoga teacher training course. Thousands of yoga lovers have participated in YTT and Yoga Retreats in this yoga school from all around the world. This yoga school in Nepal is certified by the Yoga Alliance for the courses of 200 hours and 500 hours YTT. It has beautiful natural spot attached to the beautiful greenery of Nagarjuna Hill. Short, medium, long duration Yoga retreats are also the interesting course of this yoga school in Nepal. 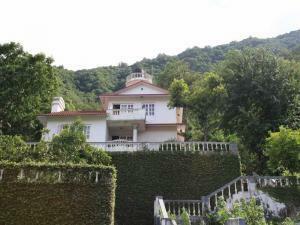 Nepal Yoga Home is a Yoga Ashram in Nepal since the environment is spiritual, Natural and satvik. The yogic way of living is our priority. This yoga Ashram in Nepal is calm and peaceful situated in the peaceful setting in the jungle area. The area attracts the yoga seekers from all over the globe without any discrimination. We believe in “ Vasudhaiva Kutumbakam – whole universe as a family”. The daily routine is really attractive as like as yoga Ashram. You will get enough space for learning and sharing the love with yoga family. Nepal Yoga Home as a yoga studio in Nepal is an ideal place to learn yoga daily for an hour or drop classes. This yoga studio in Nepal lies in the forest area from where you can observe beautiful panorama of the hills and mountains. This yoga studio is helpful to learn yoga with involving in your usual daily activities. The yoga studio in Nepal gives you the classes of yoga poses, breathing exercise, and meditation. Nepal Yoga Home offers the whole day yoga workshop which might be a good introductory course for the beginner who doesn’t have any experience of yoga before. You can spend the whole day in this yoga studio attending in different yogic activities.